Nazareth Prep is an independent Catholic high school that provides an affordable, progressive education that is real-world rigorous. The future of learning is here. 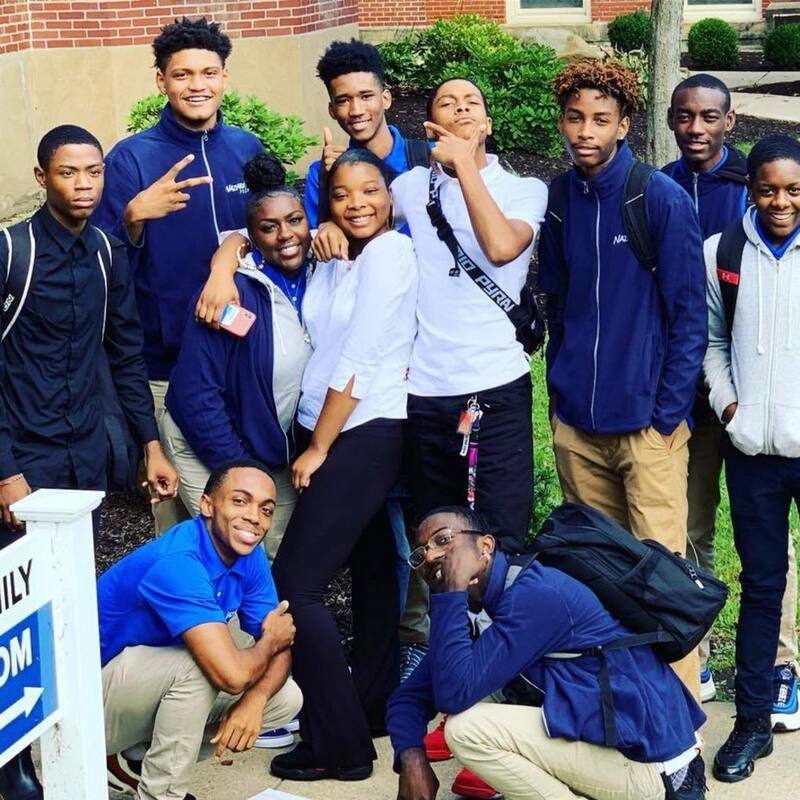 Personalized, hands-on, and technology rich, Nazareth Prep is reinventing education critical to building and maintaining a diverse, competitive Pittsburgh workforce. Through the combination of a rigorous curriculum and a real-world Internship Program, students at Nazareth Prep develop into future employees who are work-ready. What do you mean school of the future? Nazareth Prep is an affordable, private education building strategic thinking for 21st-century success. All of our students intern one day each week from September to May at some of Pittsburgh’s premier employers. Our students complete tasks and projects typical of entry level employees at their internship, gaining transferable and desirable skills. Internship hours are generally 9:30am to 2:30pm. Students wear their school uniforms, are provided with lunch, and the school coordinates transportation. The professional setting provides the students with experiences that reinforce skills introduced in the classroom: communication, delivering quality work, collaboration, and decision making. If your students will work one full day a week, request department of labor approval and collect every student’s work permit. Have your legal advisor create a student / parent participation agreement that acknowledges the internship as a class credit. A strong list of partners is crucial to running a successful internship program. Knowing the student's interests will help when it comes time to match the student to their internship. The more the student enjoys their internship, the better their performance, which then helps strengthen the relationship with the partner, making it a mutually beneficial experience. Having a team specifically focused on the Internship Program will help with keeping track of everything going on between the students and the mentors, building and strengthening relationships, and ensuring all communication is present and readily available at all times.